Nathan is proud that our clinic has been updated with the latest technologies. These include digital X-rays and CEREC machines, which digitally recreate broken down teeth and mill them in one visit, saving you time and money. 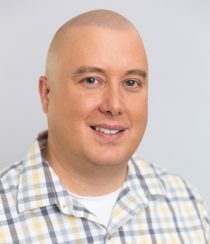 Nathan believes nothing compares to the compassion and care our patients receive from our staff. He appreciates that the Gentle Family Dentists team reserves time every week for updating staff skills. Constant, never-ending improvement is his goal, along with the rest of the staff. 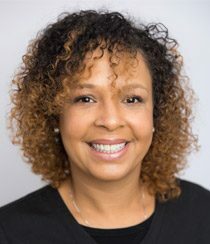 Sally has been working for Gentle Family Dentists for over 20 years and absolutely loves her job. Sally believes Dr. Roberto and Dr. Carol are both wonderful to work with. She loves their attention to detail and the quality dentistry they provide. She wouldn’t be here if she didn’t think they did great work! Sally also loves working with the community and making a difference. 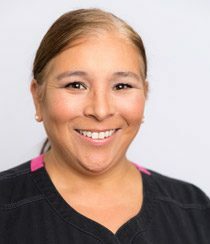 She speaks Spanish and can help our patients who speak Spanish understand their dental concerns and help them have healthy, beautiful smiles. Sally has four children and a terrific husband. She has lived in West Liberty all her life and loves living in Muscatine County. Mylea started out as a dental assistant in Texas. She had been looking for a great dental office to work in and is glad she finally found Gentle Family Dentists. Mylea loves working with both Dr. Roberto and Dr. Carol. 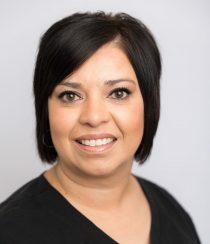 She believes they are very caring and very gentle dentists who know how to help their patients relax and have pleasant dental visits. Mylea is married and has two boys. Her husband grew up in Muscatine, and she is happy to be here in Iowa. Brandee plays a valuable role in keeping our office in order. She enjoys working in a kind atmosphere where everyone is motivated to help patients be healthy. She also appreciates the endless opportunities to learn new things at Gentle Family Dentists. Brandee is a graduate of the University of South Dakota, which also is where she met her husband. Together, they are raising a beautiful and “sassy” daughter. 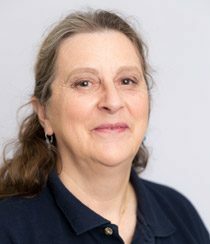 Deb is the person to talk to if you want to make an appointment with one of our doctors. 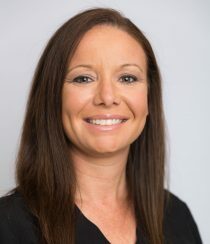 She loves working with happy people and seeing the smiles on our patients’ faces. She is also the proud mother of a son and three redheaded grandsons. When she isn’t working, she enjoys quilting, and she’s a fan of music by 1980s “hair” bands. Desirae likes that she gets to work with two dentists at Gentle Family Dentists. She has enjoyed learning how Dr. Carol and Dr. Roberto each have their own routines for various procedures. She also enjoys being around her co-workers because they have fun while getting their jobs done. 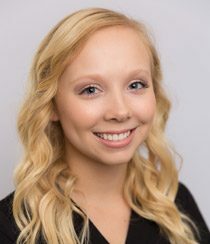 Desirae grew up in Columbus Junction before attending Kirkwood​ ​Community​ ​College, where she completed her associate’s degree in dental assisting ​in​ ​2016​. She also loves that she gets to make a difference in people’s smiles. 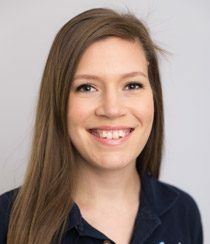 Outside the office, she lives with her boyfriend and their dog, ​Abigail.​ She likes to spend her free time shopping, watching football, cheering for the Iowa Hawkeyes, and listening to music. ​Heidi will tell you that she loves working at Gentle Family Dentists. The reason is simple: we have a great, awesome, caring team. She lives with three dogs — a pit bull, Lady, and two bullies, Cassius and Sheeba. 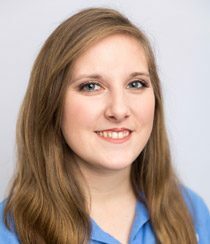 Jessica will tell you that she enjoys working at Gentle Family Dentists because it’s a fun place to work and because she’s encouraged to follow her dreams. She says that our office feels like family, and she’s a big part of the reason why. She doesn’t have children, but she has a rescue cat who is like a kid to her. Her cat follows her everywhere as she gets ready for work and is always at the door to greet her when she gets home. 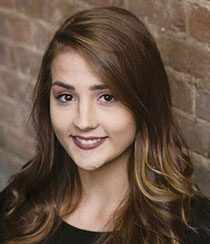 Olivia joined us in 2016, and she loves working with Dr. Carol and Dr. Roberto because of their gentle approach to patient care. Helping patients transform their smiles is one of her favorite parts of working at Gentle Family Dentists. She knows that a new smile can change someone’s life. She loves when a patient arrives with a frown but leaves smiling with joy. She also appreciates that we emphasize continuous training and modern technology so we are never outdated. Olivia and her boyfriend recently moved to Iowa City to start their journey together. She likes camping, traveling the world, and exercising. She also enjoys spending time with her family and friends, and she looks forward to seeing where life will take her. The best thing about working with Gentle Family Dentists is being able to grow as not only a dental assistant but as a person also. 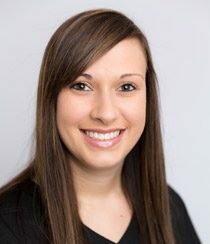 Jessica enjoys working hands-on with all of her patients, teaching them about oral health, and making a difference in each of their lives. Every day Jessica learns something new and has endless opportunities to expand her education with the support of GFD. When she is not working, Jessica is spending time with her family. Together they enjoy walking their dogs to the park, painting, and baking! Jessica grew up in Jackson County and traveled here for a great job opportunity. She is very proud to be a part of the team!